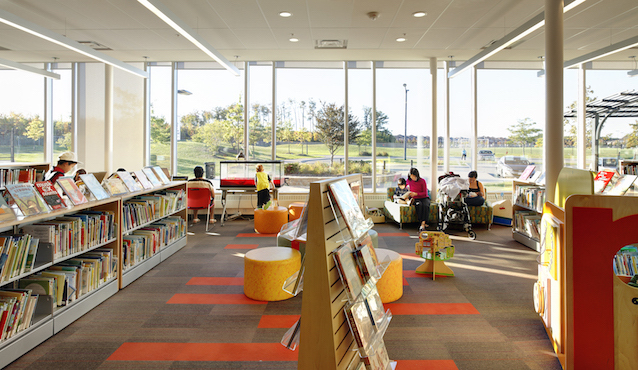 In 2018, Canada’s urban libraries are continuing their aggressive development of branch facilities as innovative, interactive and integrated community hubs. 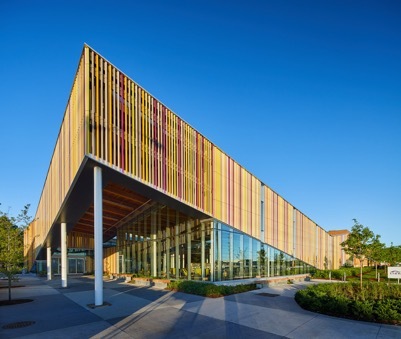 Learn more about Edmonton’s, Calder branch, Halifax’s Dartmouth North and Musquodoboit branches, Kingston-Frontenac’s Rideau Heights branch, Lethbridge’s Main Branch Moderization Project, Markham’s Aaniin branch, Bibliothèques Montréal’s Benny branch, Regina’s Albert Branch at mâmawêyatitân centre, Toronto’s Albion, Amesbury Park and Eglinton Square branches, Vaughan’s Pleasant Ridge and Vellore Village branches, Victoria’s sxʷeŋxʷəŋ təŋəxʷ James Bay branch and Winnipeg’s Windsor Park branch. A word cloud about these faciliaties would include: striking design and artwork, LEED, community consultation, radical transparency, accessibility, lots of space and seating, respect for and acknowledgment of Indigenous culture, maker spaces, community responsive, early literacy, abundance of natural light, big windows, flexibility and adaptability, part of a larger complex, warm and welcoming, hub, a place to go. 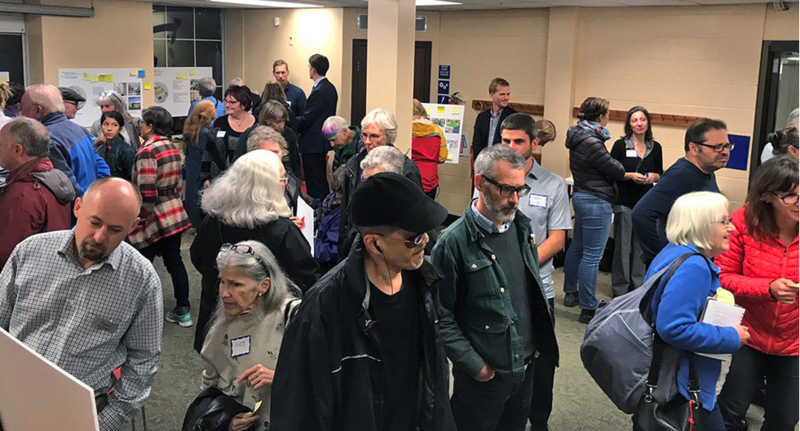 And a smaller but striking set of words would include: community kitchens, sewing machines, outdoor reading and play areas, reading stairs and gardens, aquariums, community health and food security, neighbourhood regeneration, more flexible stack space with no diminution of collections. Technology continues to underpin increasingly responsive and efficient service. This includes self-check and automated returns (some with receipt), sophisticated maker spaces and creative studios, digital media labs, wireless access (increasingly 24/7), after-hours-branch access, hot-spot loans and much more. 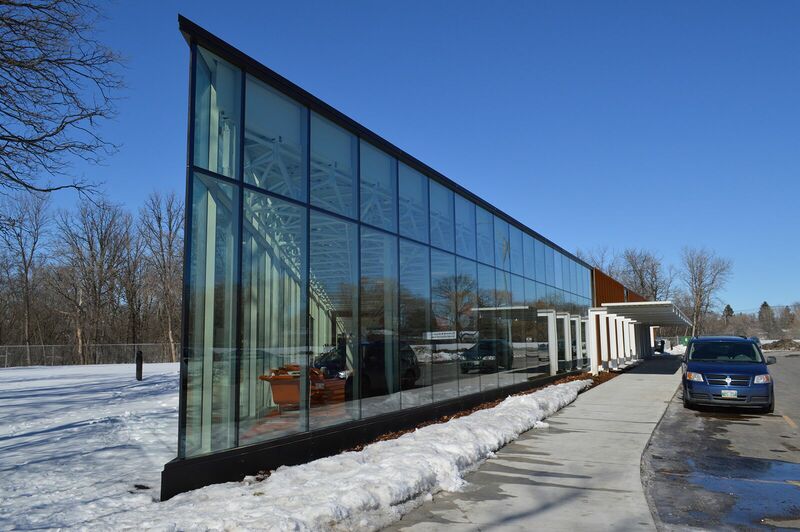 The following snap-shots of fifteen exciting, new/renewed branch libraries in Canada includes: photos, city population, type of project (e.g. new, renovation, rebuild etc), opening date, size, capital cost, architect, LEED designation if any, number of storeys, whether stand-alone or part of larger facility, most recent circulation figure available, and population of the area served by the branch. Photos: top left Toronto’s, Albion District branch, Credit: Doublespace & Michael Muraz; top right Winnipeg’s Windsor Park branch, Credit: WPL & City of Wpg; lower left Vaughan’s Pleasant Ridge branch: Credit: Vaughan Public Libraries.